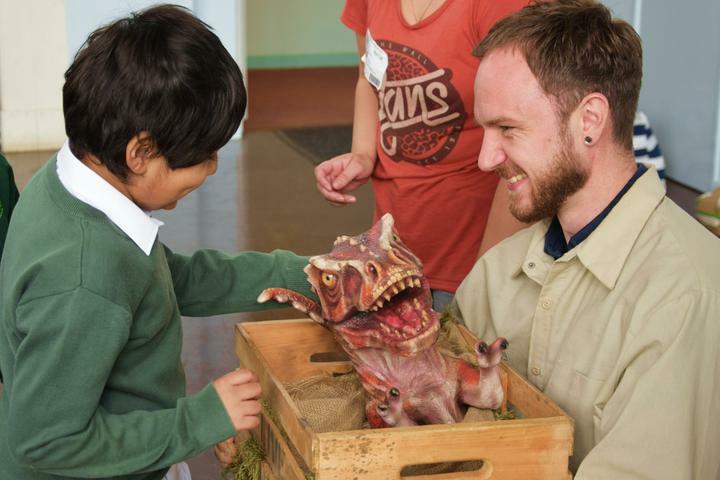 Oaklands Dino Land opened on Monday 18th September! 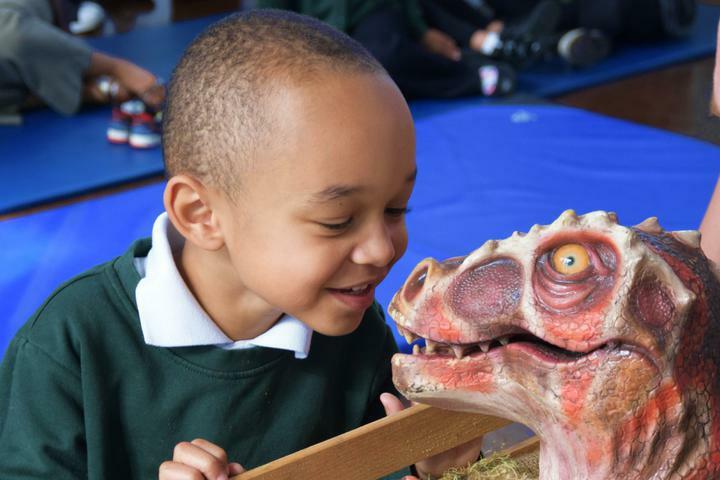 We had a great day at Oaklands celebrating Dinosaur Day. 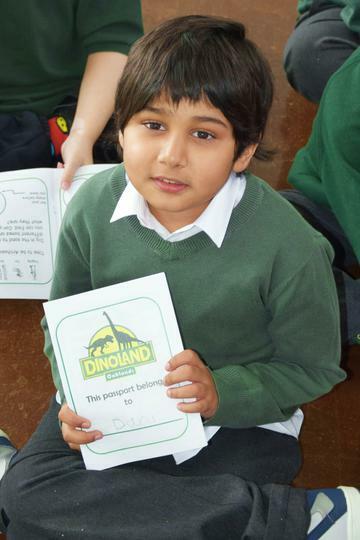 All the children received passports that they had to get stamped as they made their way through the different activities of the day and learnt all about different dinosaurs. In the Triceratops Jungle the children experienced the sounds, smells, textures and sights of a jungle and learnt different facts about the Triceratops. 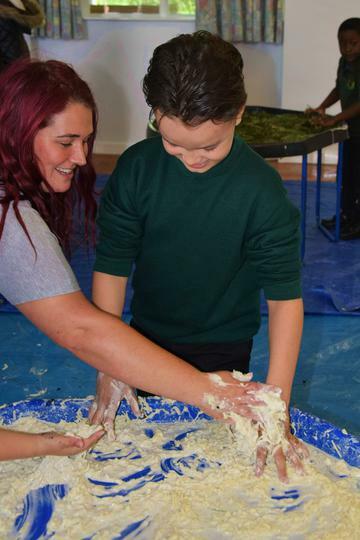 In the Diplodocus Swamplands things got very messy! There were lots of different swamp experiences with slime, jelly and mud. The children learnt where the Diplodocus liked to live and had to look for frozen dinosaur eggs in amongst the swamp. In the Spinney the children found a Stegosaurus! They had to help to find the different parts of the dinosaur to complete the big Stegosaurus jigsaw. 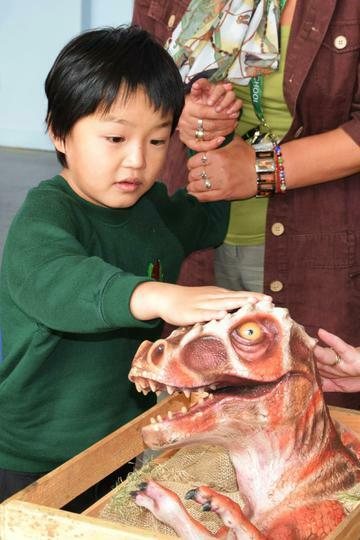 There was ‘Digging for bones’, where the children got to practice being Palaeontologists. They used sieves and trowels to dig in sand and mud looking for bones, fossils, rocks and shells. In our Light Sensory Room the children went on an interactive journey through a Dinosaur Park! The most exciting part of the day came when we were visited by a T-Rex! 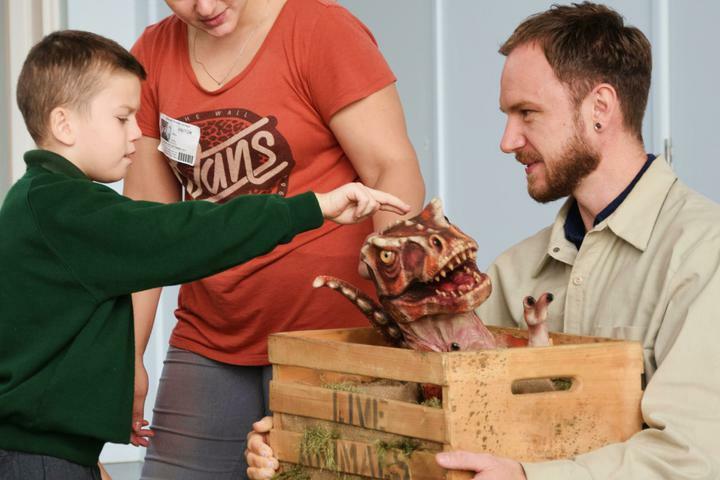 The children met an animatronic baby T-Rex and a much bigger T-Rex puppet. Everyone enjoyed this very much and weren’t too scared to go and say hello to our visitor.